If you have the 5th Edition, visit allmycode.com/JavaForDummies. This Web site is under construction. If any content is missing, please send email to JavaForDummies at BurdBrain dot com. 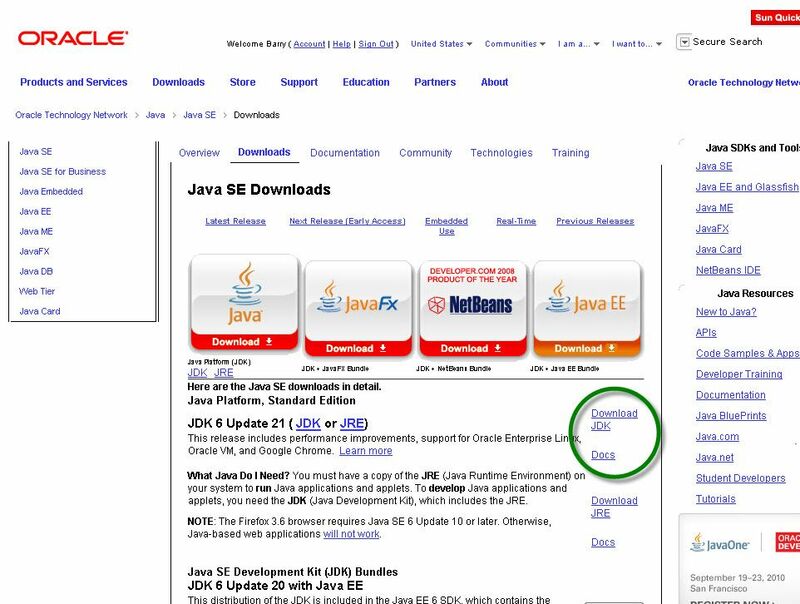 Download a zip file containing the code listings from Java For Dummies, 4th Edition. Download a pdf document on setting up your computer to use the command prompt window (instead of JCreator or some other integrated development environment) in Windows, Unix, Linux, or the Mac. Download a pdf document on running a Java program using the command prompt window in Windows, Unix, Linux, or the Mac. Download a pdf document on repairing the JCreator configuration after you've finished installing JCreator. View an up-to-date video (up-to-date as of November 2009, anyway) on using Eclipse. Download an older pdf document on using Eclipse (instead of JCreator or some other integrated development environment) in Windows, Unix, Linux, or the Mac. Download a pdf document on using NetBeans (instead of JCreator or some other integrated development environment) in Windows, Unix, Linux, or the Mac. Download a pdf document on creating an input data file in Unix, Linux, or the Mac. Download a pdf document on creating Javadoc pages using JCreator. Download a pdf document on using command line arguments in JCreator. Download a pdf document on an alternative way of breaking out of a loop (as I mention in Chapter 6). Download a pdf document explaining two-dimensional arrays. Download a pdf document explaining short circuit evaluation (some subtle points about Java's boolean operators &&, &, ||, and |). Download the sample code for use with the two-dimensional arrays document.